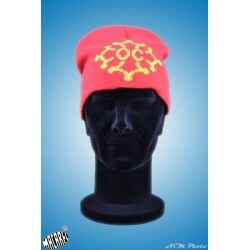 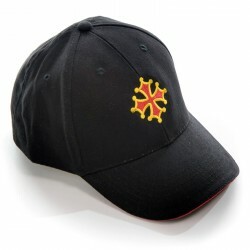 Occitan cap in American style, with oc cross in front and Occitània text in the back side, embroidered 100% cotton (choice of color). 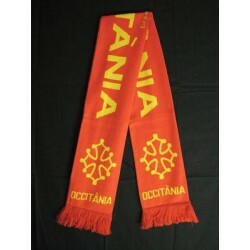 Red scarf "Occitània" with crosses Òc yellow (recto verso). 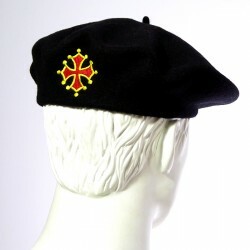 Occitan cap in Army style, with oc cross in front and Occitània text in the back side, embroidered 100% cotton (choice of color). 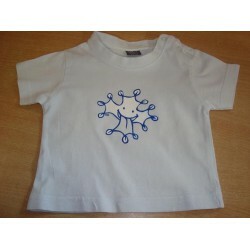 Macarel. 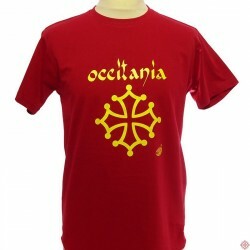 Tshirt Occitània calligraphie (homme) de couleur rouge avec la croix occitane et l'inscription Occitània. 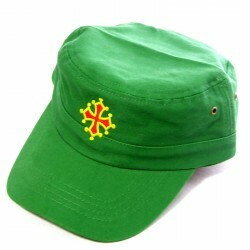 Macarel.